The social sphere is no longer just a dwelling place for virtual companies. 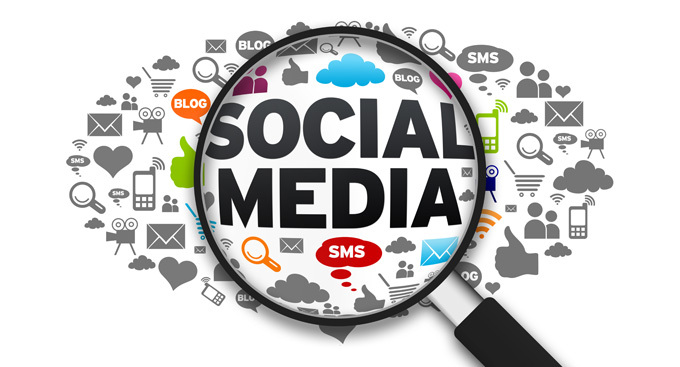 A social media campaign is essential for ANY business. The truth is that social media is ingrained in the minds of anyone with a computer or mobile phone and access to the web. People use it, want it, expect it – so you, Mr. IB, need to give it to them! Even though, in the past, most investment companies shied away from social marketing in favor of a more conservative approach, no modern Forex business should ignore this new world of likes, plus ones, and re-shares. In fact, they should embrace it with open arms and allow it to become a big part of their marketing efforts. When discussing a business plan with an introducing broker or white label provider, we strongly emphasize the use of the social media networks. Why? In the following section, we will provide a few interesting statistics that will make the reason more than obvious. If YouTube was more popular than cable TV, would your Forex business take advantage of it? Well, guess what? It is. Here are some more startling social media facts for 2013. Over 6 billion hours of video are watched each month on YouTube (that is about 200 million hours each day!) . It is no doubt that consumers’ hunger for video is insatiable. That is why since 2011, over half of Internet traffic has been video, and Cisco predicts that total video traffic will make up between 80 to 90% of all consumer Internet traffic by 2017 . Facebook has 1.15 billion monthly active users as of June 2013 . For businesses that use Facebook, that’s like almost having another China at their fingertips. It’s no wonder that 70% of businesses said they acquired a customer through Facebook . Was your IB business in this lucky group as well? LinkedIn has more than 238 million members in more than 200 countries and territories around the world [5,6]. Even though it is no Facebook, it is a powerful social media network used for professional networking that can give companies plenty of visibility among both consumers and businesses. Twitter users normally send out more than 500 million Tweets (or short messages) a day (about 5,700 Tweets a second), with the record being 143,199 Tweets per second on August 2nd, 2013 during an airing of the anime classic “Castle in the Sky” in Japan . The instant-messaging-like characteristic of Twitter makes it ideal for businesses that want to get a quick word out to their customers (like a market recommendation or trading call). Consequently, it’s no surprise that half of the technology companies surveyed said they had acquired a customer through the social network . Google+ is #2 on the most active list of social networks with 318.4 million active users . Knowing the importance Google rankings have on the success of a business, 70% of brands now have a Google Plus page . As the social network of one of the largest companies on the planet plays catch up to Facebook, many experts are placing their bets on this stallion (and so are we). 69% of brands have a presence on Pinterest . This rapidly growing social media property is driven by the visual web, but is not just for pictures. Being one of the top social networks in terms of monthly visitors, more and more FX companies are noticing and starting to Pin on a regular basis. Instagram users upload an average of 55M photos to the site each day . Is posting as a business on Instagram worth it? Facebook thought so when they splurged a cool billion on the social hatchling (it was actually $715 million when the deal finally went through). The reality is that this mobile photo sharing app is here to stay – and many businesses are taking advantage of the under utilized social network to effectively market in creative ways to their client base. If you don’t feel a strong urge to give your IB business a shot of social media in the arm by this time, then please check your pulse. We may have lost you. If you still feel a beat, then read on. How should Introducing Brokers use Social Media? So you’re sold on the viral marketing and brand strengthening powers of social media, but are wondering how to start using it effectively for your FX business? Before you can even start gaining thousands of followers on your Google+ page or getting endless likes on your current post about the best way to to trade around NFP, your business needs to exist in the social universe; so start the colonization by creating the social profiles for your group. “How many social profiles,” you ask? Well, according to Wikipedia’s “List of social networking sites,” there are 200 major active social networking websites in existence . Two hundred?!?!? Yes, but don’t worry. We don’t want you to spend endless hours adding logos, contract info, descriptions, and posts on 200 different places. That’ll be enough to throw in the towel before you even start. We only want you to focus on the networks mentioned in the prior statistics section: YouTube, Facebook, Google+, Twitter, LinkedIn, Instagram and Pinterest. But even maintaining seven social media business profile pages can feel like a full time job a times. If you do it correctly, it will require a lot of time and effort. Ideally, you should have experienced personnel specifically assigned to the task at hand – but if you don’t have this luxury out of the box, we suggest for you to develop your social media campaign one day at a time to avoid getting overwhelmed (maybe by focusing on just the top three or four social media networks). Once your business becomes more successful and you are able to allocate more resources to social marketing, you can run it on all cylinders. After your business has planted its flag on the social media terrain, it’s time to do one more thing: engage your existing and future followers. How do you get them interested enough to connect with you and become involved? Simple, offer them value and make yourself available to provide support (see our Forex White Label Guide for more information or inquire about our business building tools and social media content for our partners if you need ideas). There is no magic. You need to go out of your way to provide your clients with services they truly treasure. If you don’t, why would they want to do business with you, or even follow you on Facebook or +1 your Google Plus blurb? If you don’t find a way to inspire your customers, you’ll become just another boring IB trying to make a buck. They’ve seen too many of those already that they spot them a mile away. Be different! If you follow the above advice and suggestions, your increased success via social media is almost guaranteed (a close third to death and taxes).